One of the correspondents was insistent that the tax exempt status of churches amounted to a “privilege” that nobody else gets, and that no organisation should have tax exempt status by virtue of of being a church – they had to actually be charitable. According to New Zealand law, a charitable purpose (for tax exemption purposes) “includes every charitable purpose, whether it relates to the relief of poverty, the advancement of education or religion, or any other matter beneficial to the community” [Charities Act 2005, Section 5(1)]. I do not want to see my personal religious views endorsed by the goverment. We live in a pluralist society and the government should not be in the business of endorsing anyone’s religious views. It should be secular – keep out of religion and neutral to these views held by it’s citizens. 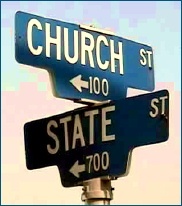 Having some experience in the issue of religion in the public square and the question of state neutrality, I have found it surprisingly common for people to advance a law or policy with very obvious religious implications, while being quite certain that the policy is religiously neutral. Part of the problem is the natural insularity that many of us have – if something doesn’t have important implications for us personally, then we’re much less likely to be sensitive to the implications that it has for others. Make loans or advances to any Humanist Group or similar non-profit body in New Zealand for projects similar to the above. This qualifies as something of benefit to the community for tax purposes, allowing these organisations charitable tax exempt status. Can tax exempt laws be neutral on religion? It’s possible that the application of a law like this one, in reality, cannot but take some stance on religion. Let’s imagine that the law were stated more simply, and all the examples that it gives were excluded. Imagine that it said that a charitable purposes for tax purposes “includes every charitable purpose, any matter beneficial to the community.” This, after all, is what it clearly means. It only mentions religion, education etc as examples of this general class of purposes. Now ask: Do such purposes include the purposes that make a church a church? Set aside things like feeding the poor, running employment training programs and so on. Just think of those things that are more or less unique to churches of one sort or another: Worshipping God, providing Christian teaching and Christian counsel. Add to the list if you need to, but you get the idea. The question only has two possible answers: Do these things provide benefit to the community? Now granted, some people who reject religious belief will still say yes, because they take an anti-realist stance to religion: regardless of the truth of its claims, it offers moral guidance, hope and so forth. And as you’d expect, those who are Christians themselves will be very likely to say yes. Of course these things are beneficial to people. Those who say no are almost certain to be people who reject religious belief. And it will surely be obvious at once that to make this claim about these religious activities – that they offer no benefit to the community – is not religiously neutral. If Christianity is really true then the benefit to the community cannot be overstated. If Christianity is false then it might offer benefit to the community, and it might not. But to say that these things do not benefit the community is to take the religious stance that Christianity is not true. Now of course it’s not just about Christianity. For better or worse, pluralism is a fact, so the government doesn’t discriminate between religions. Any church, or faith community can make use of tax exempt status. The question is: How can we refuse them the ability to do so without enshrining an anti-religious belief in law? Posted on April 28, 2010 March 19, 2019 by GlennPosted in religion, social issuesTagged anti-religious bias, charity, churches, religion in the public square. The mentioned vocal atheist (whose name shall forever remain anonymous) is wise for he (or she!) (after some considerable jelly wrestling with Glenn – good luck in imagining that!) has fled from this blog. If an organisation is not-for-profit and it offers services to community, then it should be tax-exempt. Plain and simple! So, ‘atheists’ are sometimes (frequently?) intellectually dishonest, and “vocal atheism” may be correlated to a higher incidence of same? Whodda thunk? Crikey – this is the third blog to personally attack me on this issue! Suggests some sensitivity there, doesn’t it. Mind you its much better than keeping quiet about it. Of course in a debate like this one cannot rely on one discussion partner to reliably present the views of another. I therefore urge readers who are at all interested in knowing the issue to refer to my post Avoiding tax – supernaturally There is also extensive debate at MandM (Guest Post: Does Tax Exemption for Churches Directly Cost Taxpayers?). Avoiding tax – supernaturally was posted in response to the attacks from the first two blogs, but before this article here was posted. It would have been simple courtesy to provide the link. Anyway – I am not going to participate here but just wish to let anyone who is really interested in what I have really said know that they have a way of finding out. Well I wasn’t trying to imply that atheists are dishonest, I only pointed out that he was an atheist so that it would be clear that the view of religion that he was (perhaps without realising it) trying to get the government to adopt was his own. Ken, if you think that an explanation of how a law on this issue is very likely to take a stance one way or the other on religion is a personal attack on you, then I would suggest you stop playing the martyr. A disagreement is not a personal attack. Try not to be so sensitive about it. Everyone who reads the link that I have already given to the M and M post will see that I have fairly described your comments in context. In fact I already posted the same link that you did so that people could see what both of us said on the issue. It’s right at the outset of my post. In fact the reason you posted was not to set the record straight about what you said. It was to post a link to your own blog and scrounge up a bit of traffic. I had not read your article because I don’t read your blog, and now that I have read the article, I see that it presents nothing new that you didn’t mention at the M and M blog. Oh, I know you weren’t trying to imply that; in fact, I *expect* you to do your best to avoid the inference — by “best,” I mean way past the point when avoiding the inference is reasonable, just, and charitable. Glenn, I don’t disagree with your analysis, but to play devil’s advocate for a moment, I wonder how you would address one small wrinkle: what about organizations that receive tax exempt status but are clearly not beneficial to society? As fellow Christians, we both agree that in general churches are “charitable,” but what about a particular “church” which does not engage in any overtly “charitable” work (feeding the poor, etc. ), and in fact teaches some quasi-Christian nonsense that is completely unorthodox by the standards of historic Christianity and has in fact a destructive effect on its adherents to the point that the group could legitimately be classified a “cult” (leaving aside the difficulty of creating a precise definition for the word “cult”). The question is hypothetical: I have a notion of how I might answer it, but I’m curious to hear yours without my influence. Jared, I don’t think that being completely unorthodox by Christian standards matters here. After all, Islam and Judaism are completely unorthodox by Christian standards, but they have tax exempt status. Of course, if what that church teaches is true, then by getting people to be members, it does benefit the community. And since the government is pretty much committed to not enforcing views about which religions are true and which are false, it can’t take the stance that the religion is not beneficial by withholding tax exempt status.